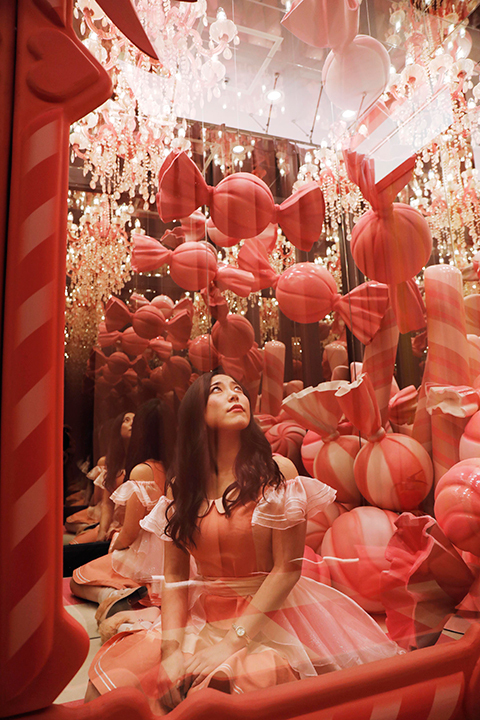 Explore the photogenic interior of purikura specialist shop “moreru mignon” in Shibuya! 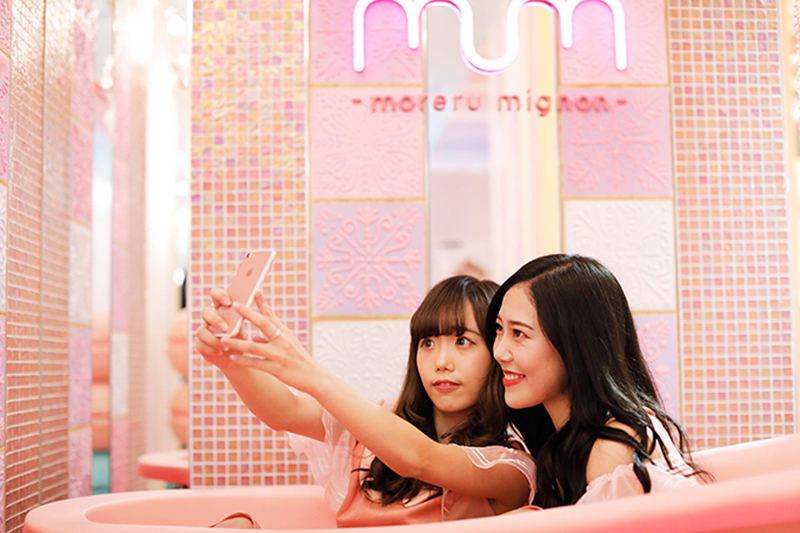 “A world of cute photos in one shop” – this is the main concept of “moreru mignon”; a shop where you can enjoy good quality services such as the photo sticker printing machine. A moreru mignon has just opened on the 7th floor of SHIBUYA 109! 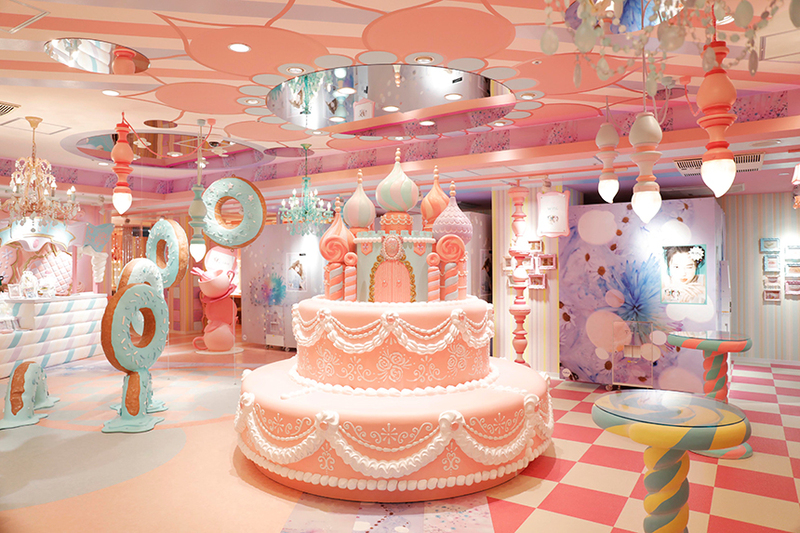 Sweets artist KUNIKA produced the interior design of the shop. Just some of the main focuses of the store include the enormous cake sofa, the large dome canopy, the cute sweets bathroom, and much more! This peculiar world of sweets portrays “a country of confectionary”. Moreru mignon’s opening commemoration campaign was launched on Saturday 9th September and is still ongoing! 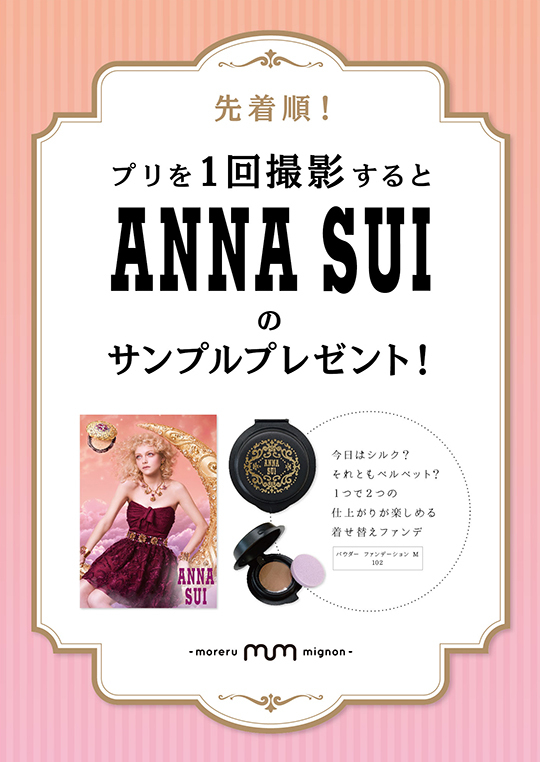 Now you can get your hands on some photogenic lollipop candy or ANNA SUI makeup product samples (foundation and puff set). You can even borrow hair straighteners here! Get in the tub and take a picture! Enter the space of the magic mirror, which produces a scenery that repeats over and over again with a fantastical effect just like a kaleidoscope. Minty green donuts all around! Sit on one or peak through the hole – there are so many poses you can make for the perfect picture! 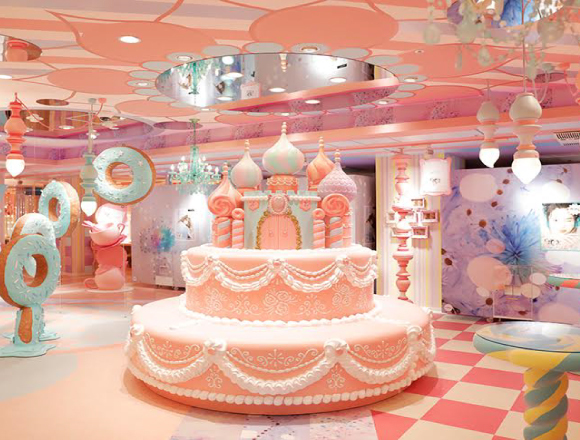 A dreamy wonderland of sweets – I wanted to make it a reality! This world is packed to the brim, including a large castle cake sofa, a chocolate makeup room, large donuts and parfait, and so much more! From the floor to the ceiling, the room is filled with colour. This is a world that nobody has ever seen before. Let go of reality and enter a new dimension. Spin around 360 degrees – everywhere you look is a perfect spot to take a photo! My top recommendation is the large cake sofa because of its large impact. Please take a seat and take a picture! 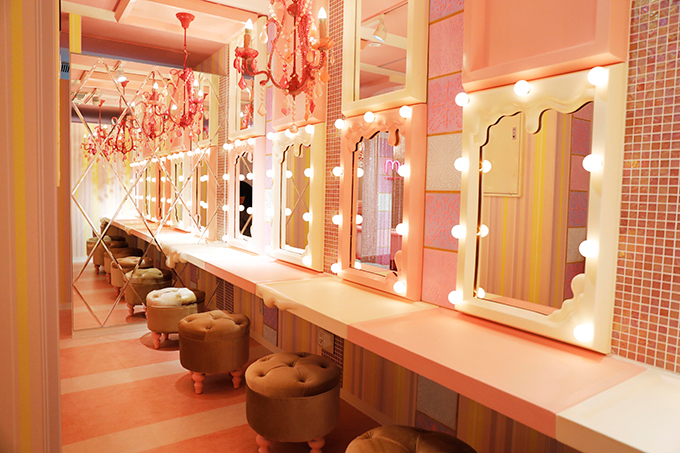 In addition, there are so many mirrors everywhere – from the walls to the ceiling. Taking a picture of a reflection makes for a very interesting experience! From one photo point, there are an endless number of ways to take a picture. I want everyone to experiment with a range of angles and make their own unique photos! A picture of this place would make for an amazing Facebook, Twitter or Instagram post! Make sure yous nap some purikura photos and commemorate! Campaign period：Saturday 9th 〜 Sunday 10th September 2017　※ Once the stock of presents has been depleted, they will no longer be handed out. １. 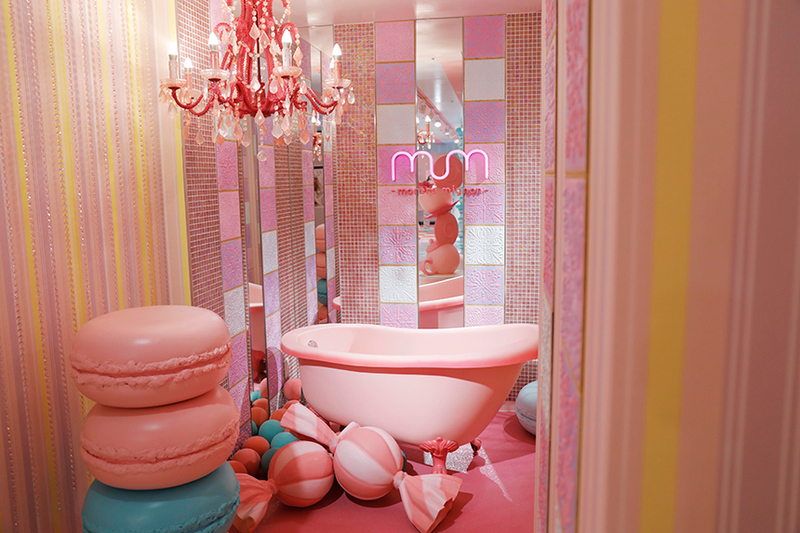 Lolipop Candy：Only one lollipop will be given to each person who visits moreru mignon. ２. ANA SUI makeup samples：One sample per play on the puri photo machine.